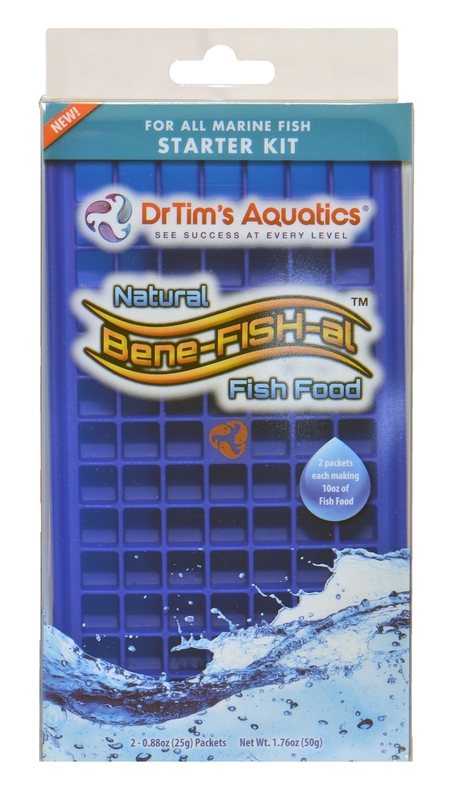 The Marine Bene-FISH-al™ Starter kit contains 2 pouches of fish food, 2 stirrers, one DrTim's Bene-FISH-al™ silicone tray, storage bag and recipe card. Excellent Quality. The powder settled a bit after mixing with water and I had to add more water to get it all out, and it smelled a bit. So the next day I made my own food using fresh ingredients and they came beautifully out of the mold. Very happy.